In 2014, Jim Paek was presented with a challenge. After being named head coach of the South Korean national team, his objective was to make the team competitive for the 2018 PyeongChang Olympic Winter Games. Korea recently finished the 2017 IIHF Ice Hockey World Championship Division I Group A in second and ranked 18th in the world overall overall. The previous best placing was 21st in 2013 and 2016. And with just under a year to go to the Games, there’s plenty of time to improve their standing. But Paek’s is no stranger to breaking down barriers. He was the first Korean-born player in the NHL, and the first to have his name engraved on the Stanley Cup. A feat twice accomplished with the Pittsburg Penguins in 1991 and 1992. In this instalment of FROM BEHIND THE BENCH, Paek talks about the expansion of hockey around the world, and what it’s like to watch the Penguins from the other side of the world in their Stanley Cup run. [After the IIHF World Championships] we’re coming back down to earth now. We have to start preparing for the upcoming season before the Olympics. Now the pressure is back on. I’m going into four years here and the support has been fantastic. Everything that I’ve needed and wanted is given to me, which is really unheard of. The supporting staff have been great. Now, they’re at a point where I don’t even have to ask them to do things anymore, they know what is expected and they just do it. We’ve come a long way. With the players, I couldn’t ask for a better bunch of guys that want to get better and want to learn. If they hear or see something that I do that’s different, they want more. A lot of things are new for them and they absorb it like a sponge. Everywhere we go, there’s a group of Korean people that come out and support us. Against Ukraine [at the World’s], a huge crowd of Koreans were there. It’s great for us, the players and the coaching staff, to have that support. What I wanted to do was change the culture a little bit, and add structure and some systems to their game, to play within a team concept. We have some good players, there’s some high skill level and they can all skate very well. There has been a long history of hockey here, just in a very small circle. 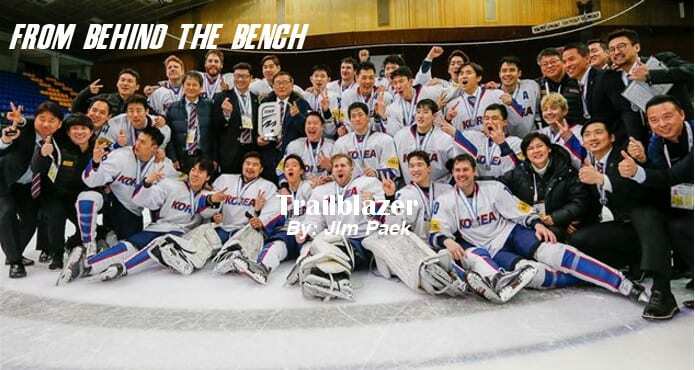 In the last 10 years or so, being a part of the professional Asian league [ALIH] that the Korean team plays in has really helped the country develop hockey. I’ve had many great coaches and players that I’ve learned from, a combination from many years of being a part of hockey. 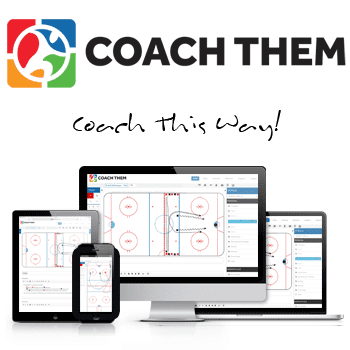 Even from my minor hockey days when I was seven years old, I still remember my coaches and apply some of those things I was taught. Being a part of the Detroit Red Wings organization [as assistant coach of the Grand Rapids Griffins] for nine years has really helped my development as a coach. And then as a player, I really appreciated and respected Bob Johnson in Pittsburg — the only thing I regret is that he coached me for a short time before he passed away. But in that short time, what I learned as a player, I can pass on as a coach. And then Scotty Bowman, of course who, as a player you don’t realize the things he’s doing as a coach until you’re a coach and you look back. Then you to pull it all together and make it your own, and apply it to your team. 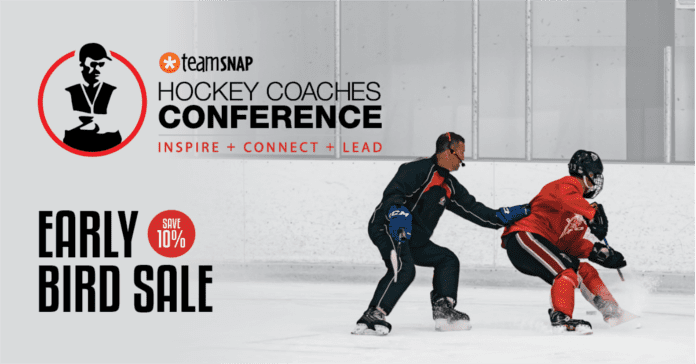 [As coaches] we all share and the most important part is to bring it all together and make it your own. If you believe in what you’re coaching, then you can coach with conviction, and then the players will buy in. If you believe what you’re coaching, the players will believe it. Being a part of Olympic hockey is great for our team, it’s helped tremendously, giving [the sport] a lot more visibility. And with how hockey in China has taken off, that’s grown the sport on this side of the world, and it’s given notice to the rest of the world that there is hockey over here in Asia. For us in the hockey world right now, there’s a huge buzz. The media coverage we’re getting for the hockey team is fantastic, it’s on TV and in the papers. It’s never been seen before and people are starting to notice the sport. It’s really exciting. There are always hurdles and obstacles you have to overcome. But with the support from the Korean Ice Hockey Association, people in the hockey circle, and even the fans now, especially with the media supporting us, we’re really fortunate. The Olympics are not the end goal for us, it’s just the start. Being a part of the Olympics here is the start of something great to come for Korean hockey. When you go to one of the IIHF conferences and then you can see all the countries that are involved in hockey, it’s unbelievable. Kuwait, India, Kyrgyzstan, the Philippines, Singapore, Malaysia, places you never thought there’d be hockey have teams now. Why? It’s a great sport. Once you play it, you get hooked. 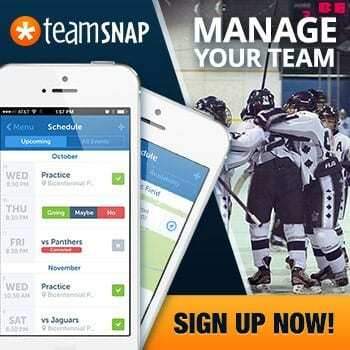 It teaches you a lot of things and life skills — team play, leadership, discipline. And it’s a great sport to watch. I miss it most days! It was a hundred years ago and it’s a different NHL now — the young players now have so much skill and it’s so exciting to watch. I look back and with the Penguins in the finals, it brings you back to how exciting it was, the atmosphere in Pittsburg. I can still feel it right now, the excitement. And it’s great for Nashville, too, and that helps to expand hockey. It’s great to see that team do well. It’s an exciting time for hockey.